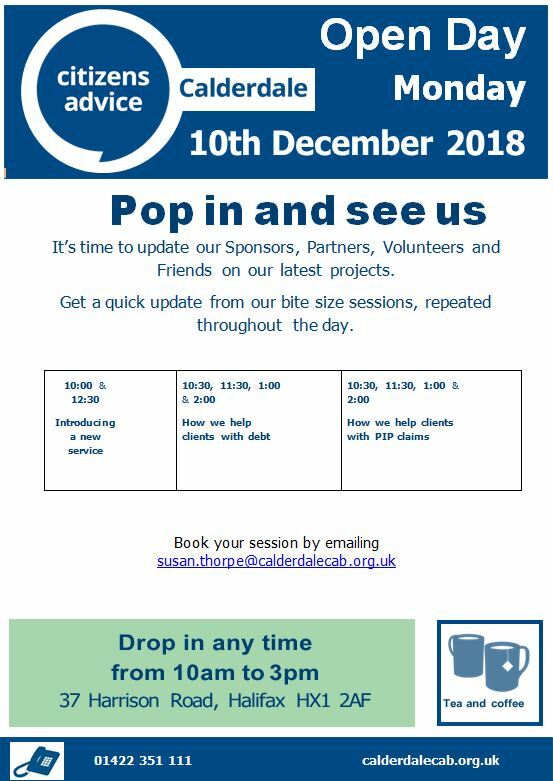 Citizens Advice Calderdale are holding an Open Day on Monday 10 December, 10:00am-3:00pm at the office at 37 Harrison Road, Halifax HX1 2AF. Book your session by emailing susan.thorpe@calderdalecab.org.uk. Also – CAB are recruiting with three new vacancies for a Generalist Caseworker and Debt Caseworker Assistant both available to start in January 2019 and a Generalist Advisor/Supervisor available to start immediately. See more at our NHP Work Support website. This entry was posted in Dec, Events and tagged Calderdale CAB. Do you know of any young people aged 16-18 who may like to volunteer for a national charity? Thanks to a grant from the Community Foundation for Calderdale through the #iwill project and The Big Lottery, Citizens Advice Calderdale are offering a chance to improve employment skills whilst making a difference to people living in Calderdale. 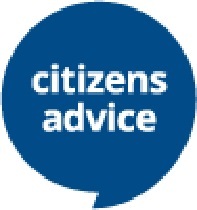 Citizens Advice Bureau Calderdale have a range of activities to get involved in including social media and research and campaigns with the flexibility to decide what you want to do, how often and where you’d like to work. Existing volunteers support the charity through photography, website development and literature design. Why not get a small group of friends and work on a project together? If you or a young relative are interested then go to our website https://calderdalecab.org.uk/contact-us/ and fill in your details to start making a difference. Remember to put #iwill in the enquiry box. If you’d rather call then contact 01422 351111. This entry was posted in Get Involved / Have Your Say, Young People and tagged Calderdale CAB. Do you know of any young people aged 16-18 who may be wondering what to do over the Summer? Citizens Advice Calderdale are offering free sessions for the over 65s on Smart Meters. They will go to your local group and talk about the pros and cons of using a smart meter. They will also give you guidance on how they can save you money and dispel any myths. This entry was posted in Energy Levels, Get Involved / Have Your Say and tagged Calderdale CAB, Energy Saving, NHP Energy Levels.